IT IS easy to understand why premier trainer Emma Stewart has a high opinion of Centenario. Not only is the two-year-old unbeaten from three starts, he has won in impressive fashion, including at Tabcorp Park Melton tonight. After racing in the ‘death seat’, Centenario staved off a late challenge to capture the Shakamaker Classic, much to Stewart’s delight. With Chris Alford in the cart, Centenario was caught outside his stablemate, Fourbigmen, which led from barrier three. Forging his way to the front at the top of the home straight, the son of American Ideal dug deep to score by a head from Major Exclusive, with Fourbigmen 11 metres away third. Owned by a large syndicate, Centenario rated 1:56.3 over 1720 metres. “He sat in the breeze at his last start too when he won well and he showed he can’t keep finding tonight,” Stewart said. An Australian Pacing Gold purchase – as are the placegetters – Centenario will be aimed at the rich APG race series. 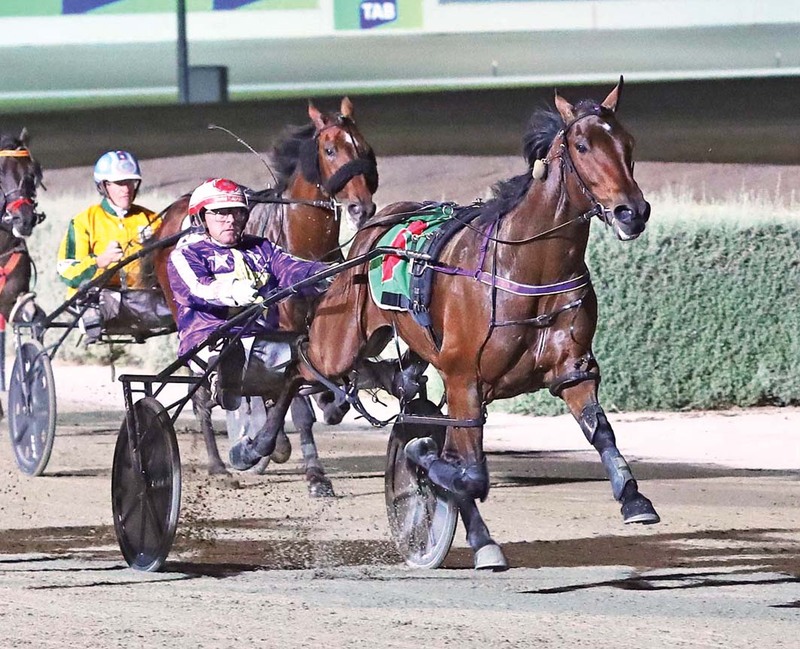 The series starts with heats at Pinjarra on Monday, followed by Albion Park and Menangle on April 10 and Melton on April 13. Should all go according to plan, Centenario will then contest the $350,000 Final at Melton on May 5.